INITIO range: a discount trampoline for kids. JUMP'UP range: quality & safety for the whole family, 365 days a year. 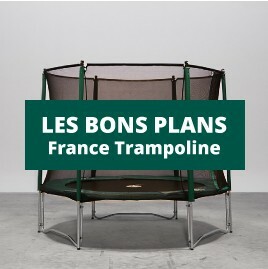 BOOSTER range: more springs, more steel, for an even more powerful and robust trampoline. Round Trampolines There are 37 products. Limited edition! Jump’up 360 with its moon themed decorative jump fabric meshing.